NOTE: Because of the ongoing cost to your IT organization, we do not recommend deploying custom builds, using the public apps available via the app store is our strong recommendation. You should now see the info about App ID that you have created. Click Submit to continue. 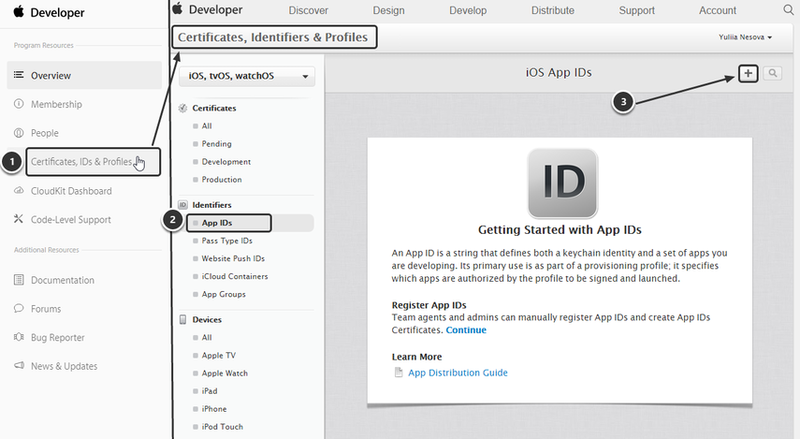 Certificate has 2 variants: [app_id].pem (prooduction) and [app_id].dev.pem (development). For example, 'com.metricinsights.viewer.pem' or 'com.metricinsights.viewer.dev.pem'. For this reason, we have a Config Variable in Metric Insights that determines which certificate should be used (see next step). Once the certificates have been created and are in the appropriate locations, Push Notifications should begin to work. NOTE: The certificates should be added to all supported instances (dev, prod, etc.). NOTE: You'll need to go through these steps for every server that needs to function with the Dashmonitor app. On Android, there is no additional setup required for receiving Push Notifications. There is a key pair that comes with the MI instance and the Android app, and as there is no third party gatekeeper that manages notifications (e.g. Apple Push Notification Service), it should work as-is.